The Battle of Yavin, otherwise known as the rebel assault on the first Death Star. It’s briskly paced and intense. The stakes could not be higher. 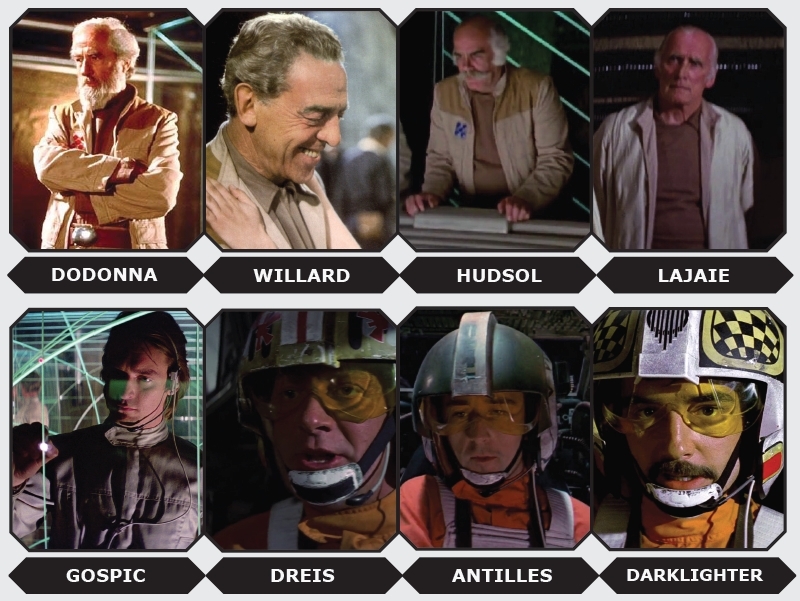 At the Battle of Yavin, there were four fighter squadrons. 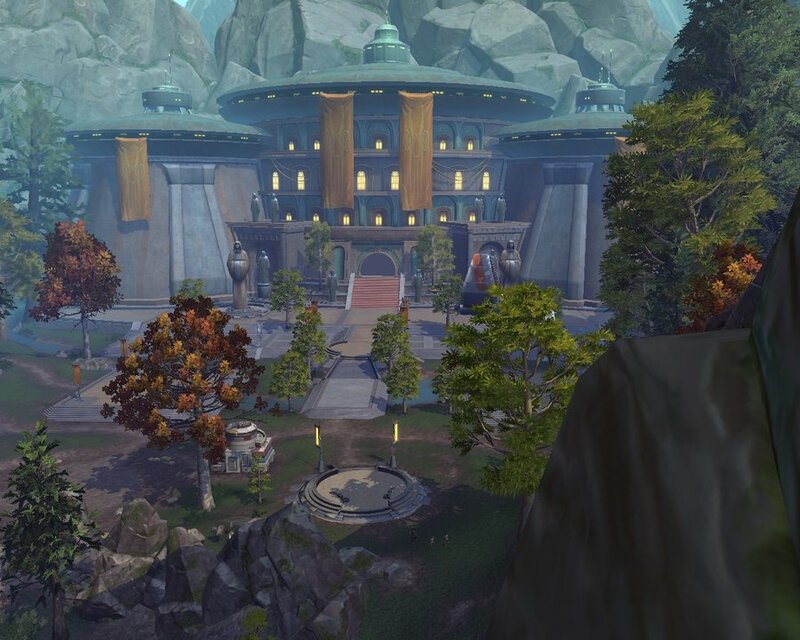 Pilots and starfighters from Red, Gold and Blue Squadrons were re-assigned to Yavin base from the Independence. 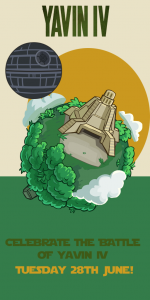 Green squadron, permanently stationed at Yavin Base. 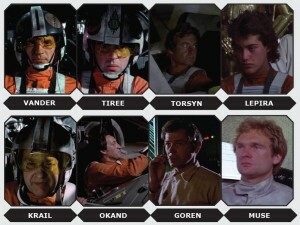 They were made up of a mixture of Y- and X-Wings and more pilots than starfighters. Priority was given to the best-skilled pilots, so some shoving around was required to place the more experienced pilots in the bigger squadrons. 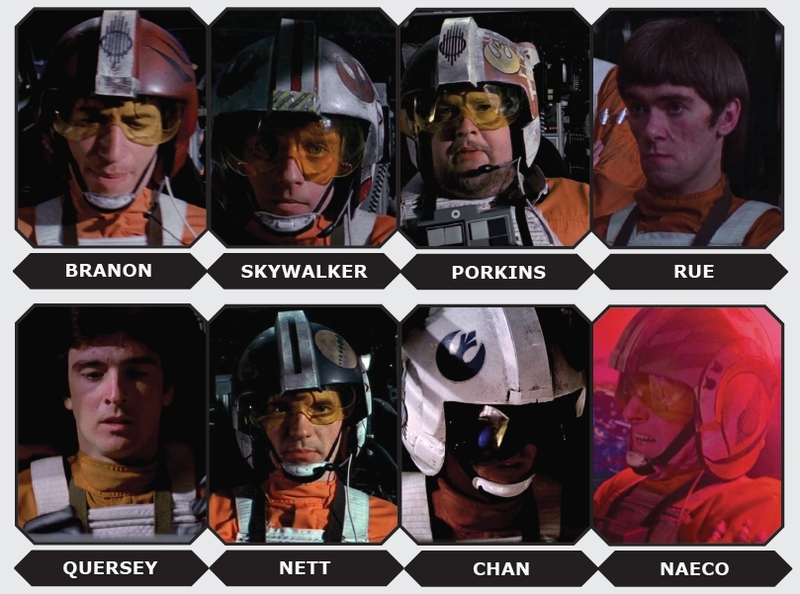 Pilots like Biggs, Wedge, Luke and Porkins were assigned to Red squadron, which they decided would have twelve starfighters. Gold squadron was made up of at least seven Y-Wings. 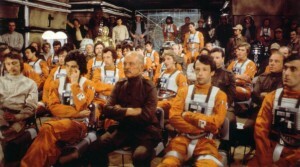 Blue Squadron was comprised of both A-Wings and X-Wings. The formal briefing was given by General Dodonna. The trench run to reach the exhaust port, but there were some smaller stages preceding that, designed to weaken the Death Star’s defenses as it approached the Yavin system. The first such mission included destroying a communications satellite in order to block the Death Star’s transmissions to the rest of the Empire, and attacking an orbiting Star Destroyer and its TIE fighters. A second mission was a surface attack made by a small number of fighters, mostly X-Wings from Red and Blue squadrons. During that second mission, the Rebel pilots managed to destroy a number of gun turrets, towers and even a big laser cannon that was protecting the exhaust port. That cleared the way for the final assault. 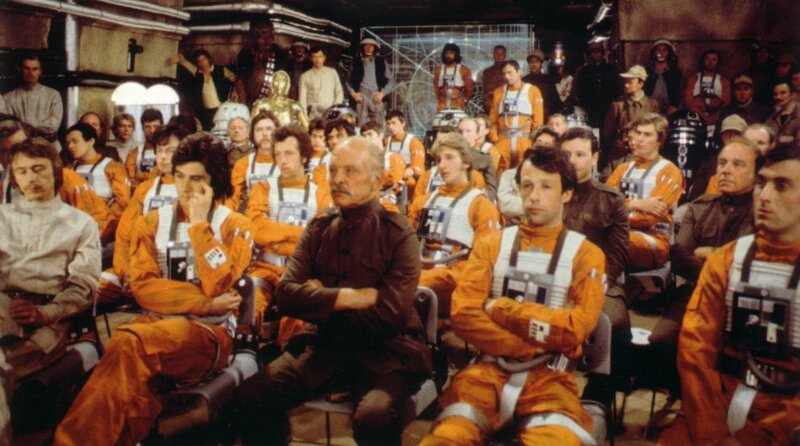 After a quick debriefing on Yavin 4, all the squadrons were sent for the final assault when the Death Star was 30 minutes away. For the trench run, Alliance strategists decided that Y-Wings should have the first run, because being bombers they carry more torpedoes. The more experienced squadron was Gold, and they enforced it by re-assigning Keyan Farlander to that squadron. They would need backup from fighters who had a better chance of diverting TIE fighters. 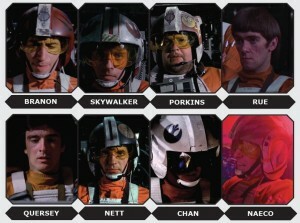 They went with Blue squadron, because it had the speedy A-Wings. Red squadron would have a go with the second run in case Gold didn’t make it. 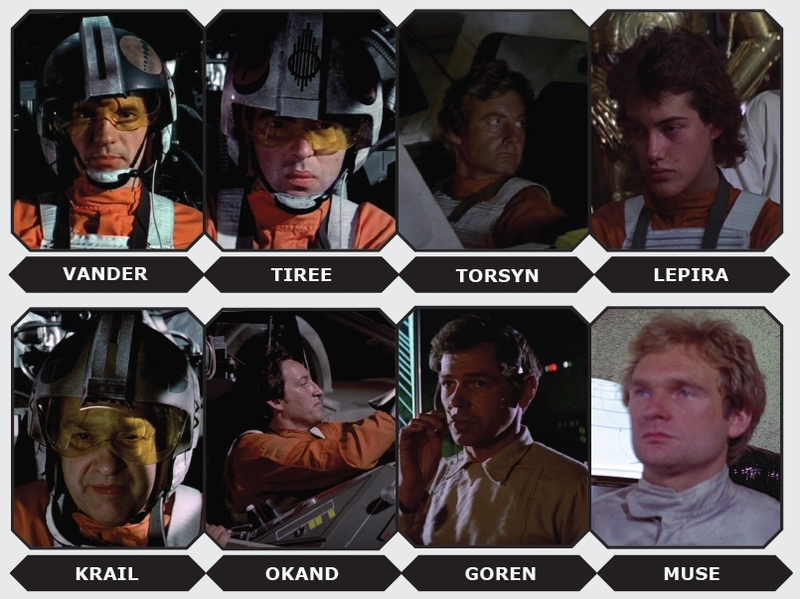 They would have Green squadron to cover them, but being X-Wings with mostly veteran pilots they didn’t really need a big back-up. 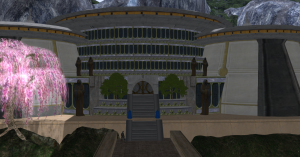 GNW has learned that there is battle going on with Imperials and Thustra. What we learned from our sources is that the Imperials came to break the Thustra defensive blockade. They took out the Thustra fighter squadrons and one of the Thustra frigates. 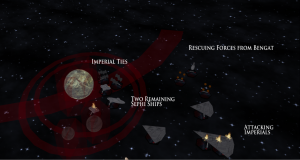 Thustra took out the Imperial flagship called “The Immovable will of the Emperor” and then forces coming out of Bengat came to Thustra aid with two droid squadrons and a Mandalorian vessel. Finding themselves outnumbered, even after their successes, the Imperial fleet turned to retreat. 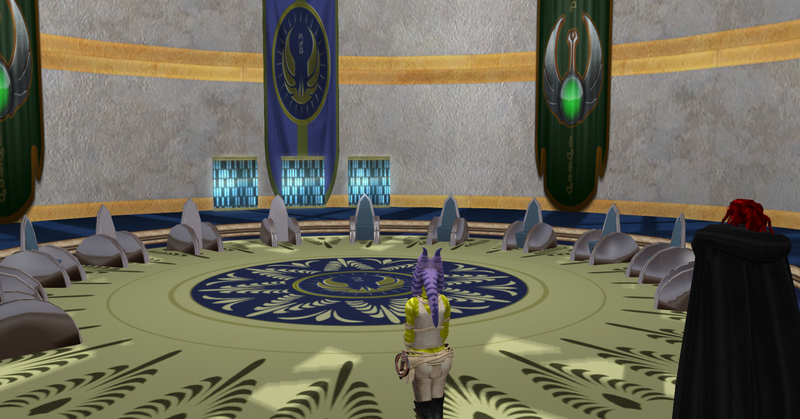 Thustra forces were led by General Norock Turoth, second in line for the Thustra throne. Then forces coming out of Bengat were led by Slade. GNW has no confirmation as to which planet the forces belonged to. 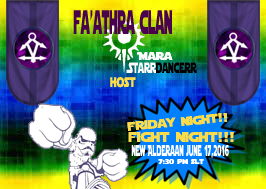 We are told that the battle is still on going and that Thustra forces and forces coming out of Bengat are not letting the Imperials retreat without a sound beating and we at GNW will keep you inform if we hear anything new. The Jedi Temple, also known as the Jedi A cademy, was the headquarters of the Jedi Order after the Galactic Republic’s defeat in the Great Galactic War, thus replacing its counterpart, the Jedi Temple on Coruscant, as the heart of the Order. The new Temple was constructed on the legendary Deep Core World of Tython, the planet on which th e Jedi Order was founded thousands of years ago. Now some years later after her destruction Tython has created replica of the iconic Temple. GNW had the pleasure of exploring the inside of the temple. 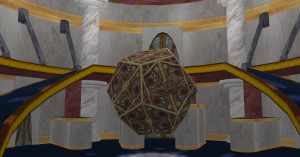 As we took a look, we were reminded of the ancient pictures we had seen of the temple in the archives. We were told that the original design of the old temple was uncovered by Tython’s archivist. We explored all the rooms with some rooms kept as was the old temple was and other rooms build from the records of the old jedi order. There are other rooms still being worked on but over all its was great sight to see. 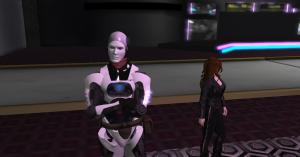 GNW will keep you updated on future events on Tython. It looks like the peaceful moment is no longer taken on a role of peace. 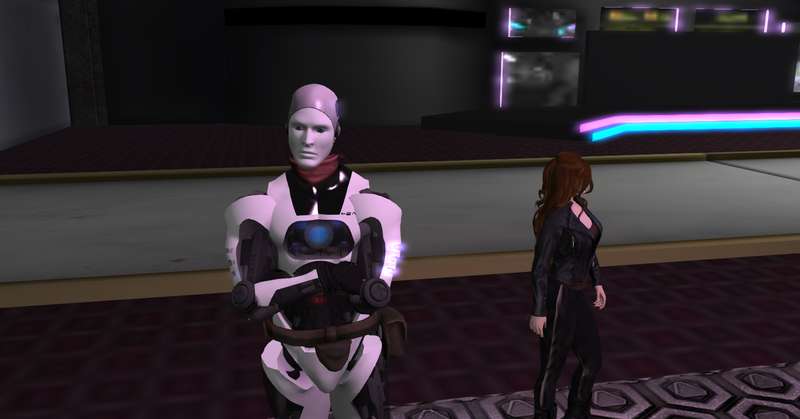 Mad Reaver Hax: “Our liberation starts there” How things end up only time will tell but GNW will be there to keep you informed.